Palm Beach Gardens has grown quickly from a sleepy small neighborhood community to a thriving city of over 50,000 people. The Gardens was built on neighborhood affordable family living. One area within the Gardens that has kept the small town dream alive is Frenchman’s Cove. Frenchman’s Cove Homes online now. All listings & Sold Statistics! 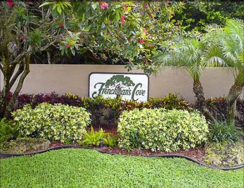 Frenchman’s Cove Palm Beach Gardens homes are just 34 single family detached dwellings. The real estate in Frenchman’s Cove is valuable because of its location. Located off Prosperity Farms Road, North of PGA Boulevard and off of Flamingo Road, lies Coastal Circle. These custom homes range from 1900 square feet to just over 3000 square feet under air. Most have swimming pools and lots of luxury features inside. The development started in the early 1980’s and now has lush mature tropical landscaping. Close by to just about everything including the Beaches, Palm Beach Gardens Mall, Palm Beach International Airport, public golf courses, schools, and an array of fine dining all under the warm year round weather of the South Florida sun. Posted in palm beach gardens homes, Uncategorized on August 12, 2011 at 11:28 am.